This Sunday we welcome Christian Chavarria to share the story of our sister church Pueblo de Dios in Calderitas, El Salvador. A special coffee time with Christian after 11am worship will include delicious papusas. You're welcome to bring salad, fruit, or a snack to share. If you haven't yet, please take a few minutes to share your thoughts about what we're looking for in a new pastor. 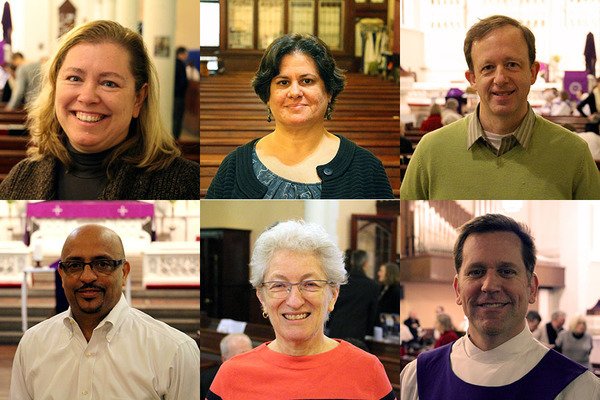 It's also a survey about who we are as a congregation, and who better to say that than our congregants. This survey will help our Self-Study Task Force complete our Ministry Site Profile, the primary document potential pastors will receive to learn about our church during the call process. The survey will remain available for your response until Tuesday, April 19. So if you've been putting this off, this is the last week to get your response in--don't miss your chance! Paper copies will also be available in both English and Spanish at worship this Sunday, and in our office. You can also complete the online survey in Spanish. A meeting for the congregation will be held next Sunday, April 24 at 10am in English, and in Spanish after 12:45pm worship. We adjourned our 2016 Annual Congregational Meeting with a great deal of exciting changes and challenges ahead in this time of transition. 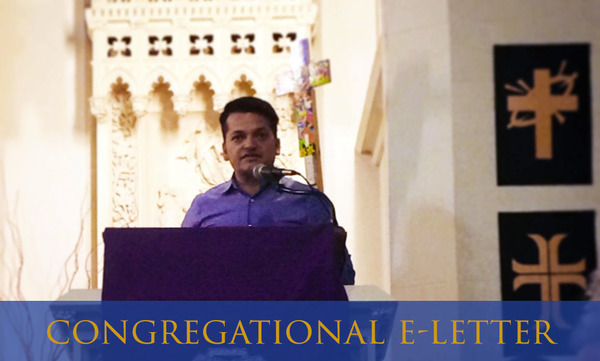 The Congregational Council heard the request from members for more frequent updates throughout the year. 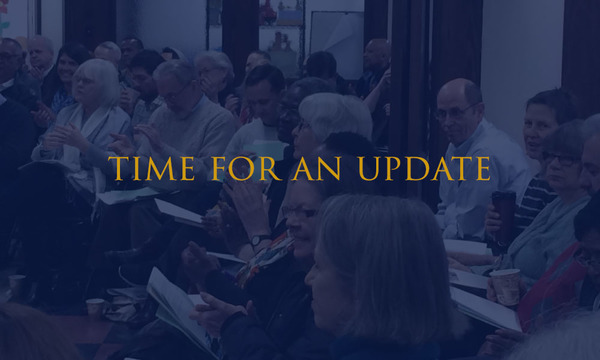 On Sunday, April 24 the congregational update will focus primarily on our financial matters, and providing information related to the current budget and special accounts. There will also be a brief update on the Call Process, and one from the new Financial Stewardship Task Force. Our April Mission Envelope will support Lutheran Ministries in Higher Education and its two ministries for college students in NYC: The Vine NYC and LaMP. These new, growing programs are reaching college students--and engaging them in community and faith--in fresh and exciting ways. 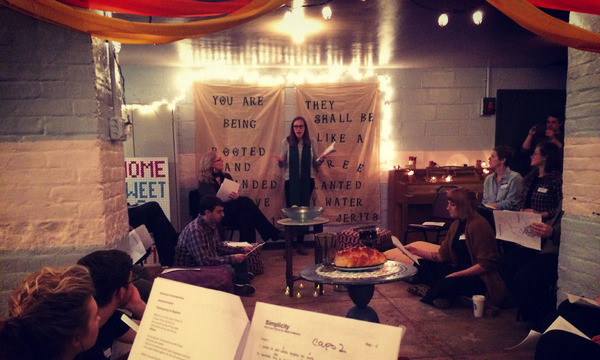 This past Sunday we heard from Allison Semrad, a graduate student at Columbia, about how The Vine NYC and LaMP keep her connected to her faith and a Christian community. You can support LMHE through donations of funds or of time. If you would like to help serve pancakes at their upcoming Midnight Pancake Study Break on May 3rd, send an email to pastor@thevinenyc.org. Gospel Text | John 10:22-30: A crowd asks Jesus if he is the Messiah. We are seeking a new Officer Administrator to start at the beginning of May. Please help us find the right person to support our ministry in the office by sharing this email with anyone you know who might be a good fit. The Office Administrator is responsible for the smooth functioning of the Advent office, providing support to the Senior Pastor, and coordinating financial management, administrative office work, facilities management and scheduling. To see the full job description, click below.